It had been 3 three years since my last visit to Mauritius and with all the changes on the island I felt a trip was very much needed to get up to speed with things. Stuart and Jean from the office had both been over recently to see a lot of the changes which had whetted my appetite. With Marcella and I now being empty nesters it was great to be able to go away on a ‘work trip’ together and this was her first time back in 10 years. We flew out of Dublin via Dubai and couldn’t find fault with Emirates who consistently rank as one of the world’s leading airlines. After a comfortable and stress free journey from Dublin via Dubai with Emirates we arrived and were quickly out of the bright and modern airport and into a sunny, warm Mauritius morning. We were driven along the south coast by our charming concierge Clifford from Emotions who look after all of our clients transfers and local tours requirements as well as giving us a 365 day /24hr presence on the island. We passed an amazing Tamil religious festival en route to the hotel, the bright bold colours of the silks and exotic flowers immediately stirred the senses, making us suddenly feel like we were a long way from the hustle, bustle and any stress left at home. Of course within an hour of arrival at the African themed Heritage Awali Golf and Spa Resort I was out on the Heritage golf course. It was great to be back out on one of my favourite courses, I remember seeing the course when under construction and had the pleasure of watching it blossom into maturity when attending its official opening, over the years it’s just got better and better. I enjoyed playing with the South African golf director Jonathan Menteath and his friend Nico who was over visiting from Legends Golf and Safari resort in SA. I’ve had the pleasure of visiting Legends 3 times and even taken on the ultimate golf experience with a helicopter up to the Extreme 19th! As such there were 3 of us Southern Africans playing together but unfortunately only two good golfers! I used every excuse in the book about our 8 month winter in Europe to try and justify my wayward golf, I must thank them for their patience. The weather was absolutely perfect, 28c with a lovely soft breeze and clear blue skies, we played in these absolutely ideal conditions until the sun set. I was pleased to hear from Jonathan that they are soon starting the 2nd course and I look forward to playing it in the future! After the obligatory post game Phoenix beer sundowners I met up with Marcella and we enjoyed an early dinner at Infinity Blue restaurant down alongside the beach. 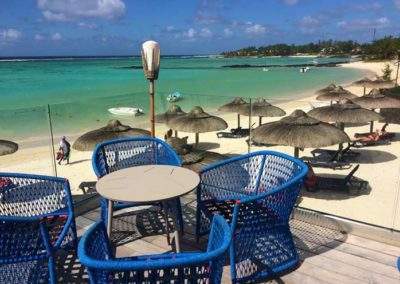 Sitting outside with your feet in the sand at this relaxed restaurant was a perfect end to our first day back in Mauritius! 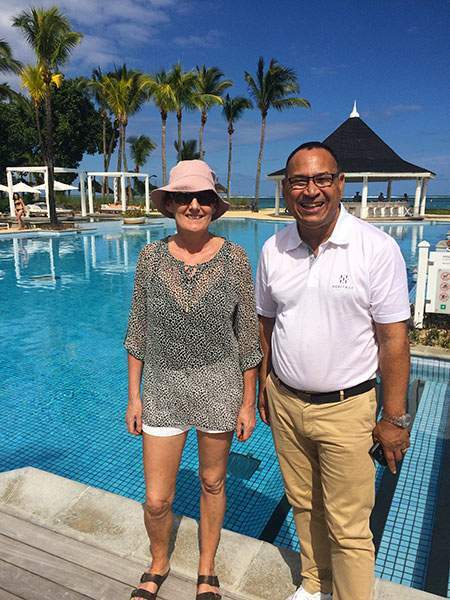 Another day in paradise for Marcella and I: beach, massage, food, beer and a tough lunchtime meeting with my old friend Michael Geerdharry at the stunning Heritage Le Telfair Resort. Michael has been involved in golf on the island since day 1 and I’ve known him for over 20 years! It was great chatting about how golf has developed on the island and I’m pleased to say more courses are in the pipeline including the second Heritage golf course! I love the local food in Mauritius and we had a delicious meal in the Mauritian-Asian style Zafarani restaurant at the Heritage Awali. After breakfast we headed up the from the south coast to Avalon Golf Club where we were met by the Estate Manager Ryan Dodds. Whilst it was my first round at Avalon it wasn’t my first time meeting Ryan who I’m sure many will remember at Heritage GC just down the hill! Marcella and I really enjoyed this superb Peter Matkovitch course, he’s a great designer and I’m pleased to say a fellow Zimbabwean. 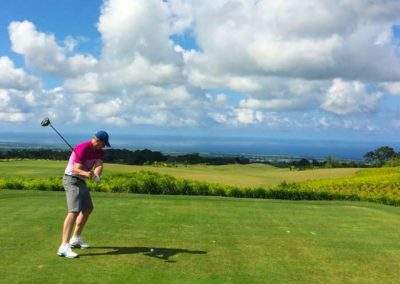 The course has spectacular views of the ocean from virtually every hole, surrounding tea plantations and nearby mountains. The course has wide forgiving fairways as it winds through rivers, ravines and indigenous forests, we thoroughly enjoyed our round yet again played in perfect conditions. 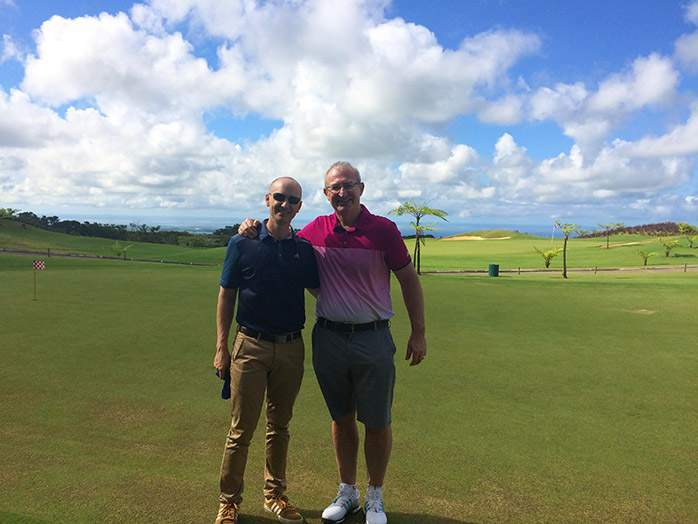 During the round we bumped into Jean Patrick who I had met many times over the years at Heritage Golf Club – it was really pleasing to see that a local Mauritian who had started working at the range has progressed to being Avalon’s PGA pro, a true sign that Mauritius has matured as a golf destination. After golf we set off across the Island with our ‘concierge supreme’ Clifford who stopped at the very impressive recently constructed statue of Parvati the Hindu goddess of fertility, love and devotion – what an island, even after 23 years of coming here and still so much to see…… We went on to Anahita Golf and Spa Resort on the east coast of the island ending the day with a wonderful dinner on the veranda. After a fairly busy start to our trip we treated ourselves to a really relaxing day around the pool at Anahita Golf and Spa Resort. 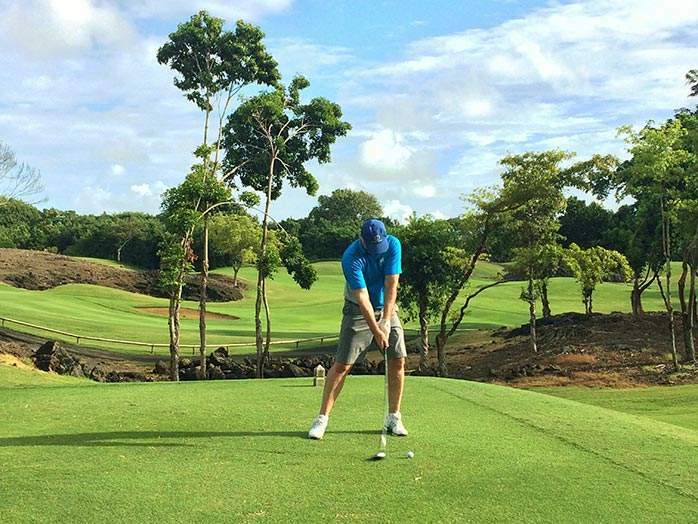 The resort is truly top class and offers a wide range of accommodation all set in beautiful gardens as well as having a superb golf course which I was looking forward to playing the following morning. In the evening we headed up the coast to the recently completely renovated One&Only Le Saint Geran resort for dinner with Rheena, the charming manager of Emotions and her equally charming husband Martin. We had a tour of the resort before enjoying a memorable meal in excellent company. On&Only LeSaint Geran for many years set the standard on the island and whilst we only enjoyed a short visit I believe it will have all of the other leading hotels knowing they will have to up their game as the bar has been raised. With another sunny morning I was up early and the first out on the Anahita Golf Course, as always the course was in fantastic condition. With the construction of a number of new villas alongside the course, there was some background noise and the normally picturesque 4th hole had fencing most of the way down the fairway. 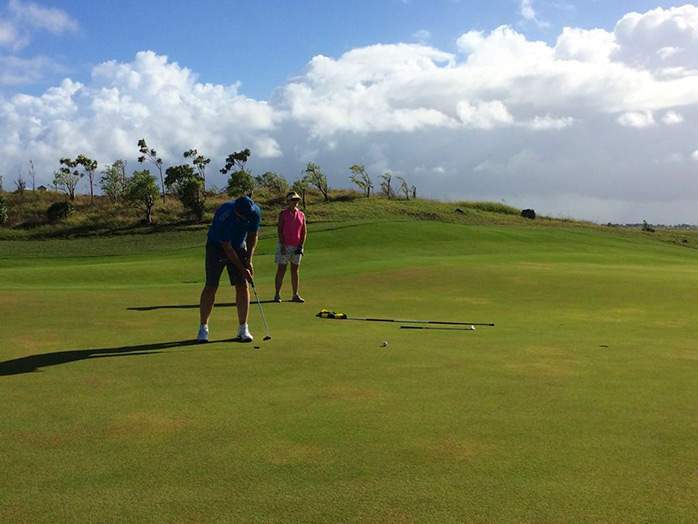 Fortunately, the stunningly located green with wonderful views of the turquoise ocean was unaffected. The course is very forgiving off the tee box which suits me, to score well you need a good short game as designer Ernie Els made sure scoring wasn’t easy with well protected, tricky greens. After lunch we moved around the bay to Shangri-La’s Le Touessrok, Mauritius where we would be spending a couple of days. 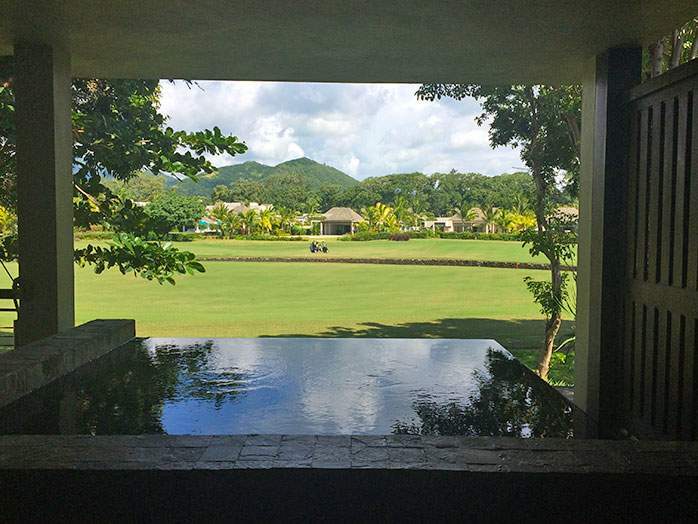 Having been taken over by Shangri La since my last golf break in Mauritius I was interested to seeing any changes. Having been to a number of Shangri La’s resorts including the Shangri La’s Rasa Ria Golf Resort in Malaysian Borneo and the Shard in London I knew the standard would be high. 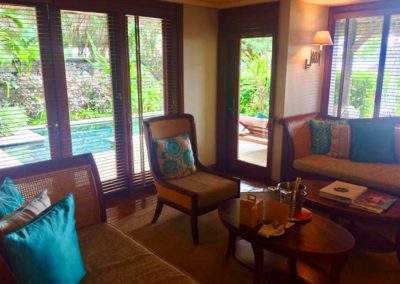 Overall the biggest difference we found was that the resort had a more relaxed and informal feel having previously been very elegant and chic. I particularly enjoyed the late afternoon sundowner session they now have every afternoon on the beach which brought people together with music in the background creating a lively and fun atmosphere. Throughout our stay we were looked after like royalty by the affable marketing director Peter Donlevy, we joined him for dinner in the Japanese restaurant and the company and the food were of the highest order! 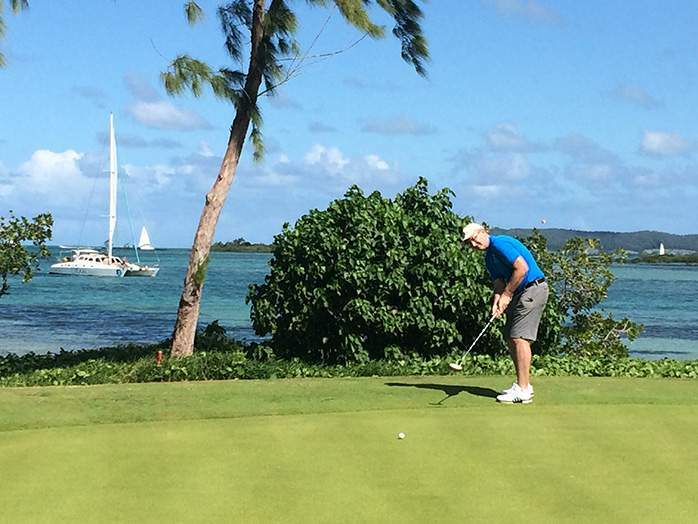 Day 6 – A golf transfer with a difference – off to Ile Aux Cerfs course by boat! 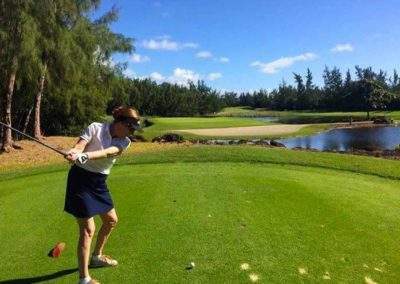 Marcella and I spent a magical day playing on the iconic Ile Aux Cerfs course. This was her first time there and I really enjoyed sharing the experience with her. 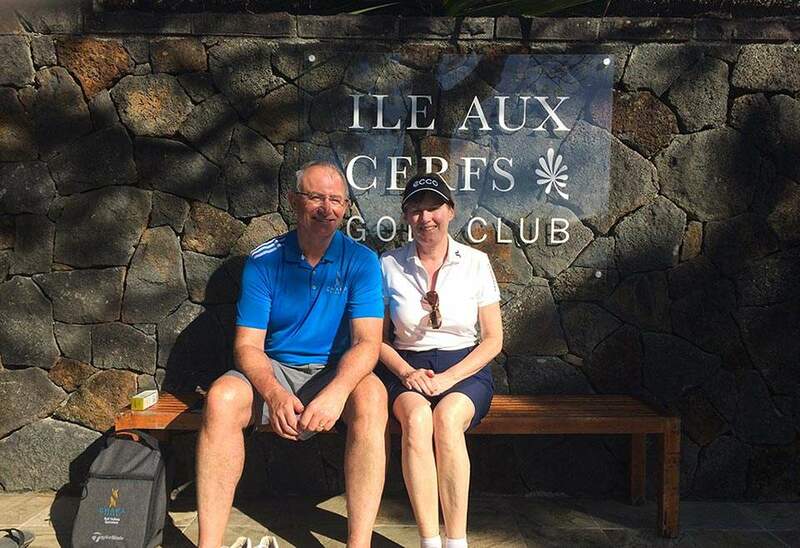 Everything was perfect, from the boat ride out to the island, to playing the immaculately maintained course and enjoying post match drinks and lunch in the lovely clubhouse, it is truly an experience that will live long in the memory of anyone lucky enough to grace Ile Aux Cerfs fairways. The course was in tip top condition and with just a gentle cooling breeze conditions were once again ideal. I have played it many times and enjoy it a lot more now since they have made it easier to play – when it was first opened it was ridiculously tough! Hats off to the Director of Golf Marc Amelot and his team who do an amazing job in keeping the course at a consistently high standard! 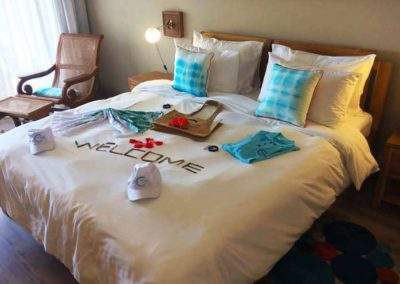 Day 7 – The ultimate in laid-back luxury – a relaxing day on a private island! We spent most of the day at Shangri La’s Le Touessrok’s private island Ilot Mangenie – truly paradise!!! 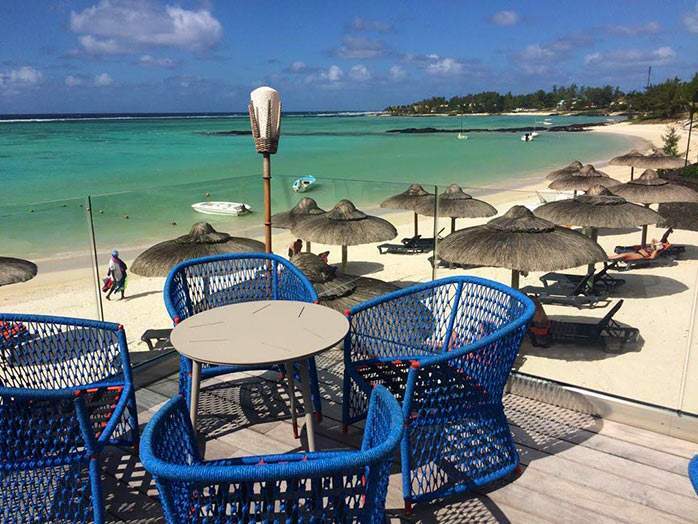 Just a short boat ride from the resort and you find yourself in heaven, nothing more than a few sun loungers dotted along the stunning beaches plus an excellent beach restaurant providing world class food – how do the Mauritians do it! 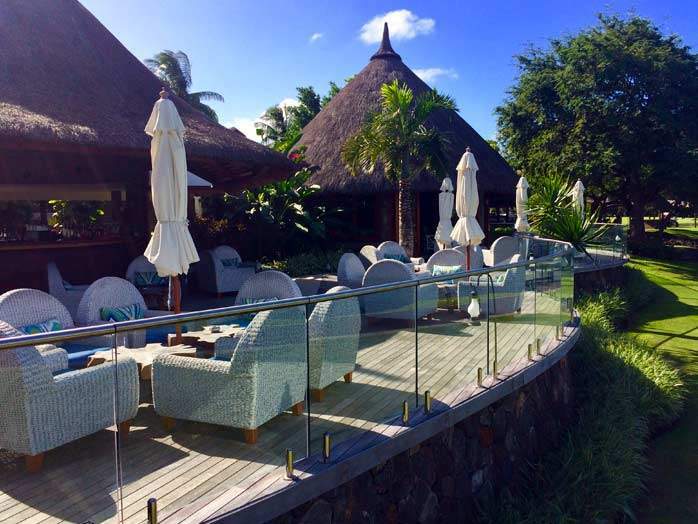 Our overall impression was that the Shangri-Las Le Touessrok has notably changed and is now less formal but equally as impressive! 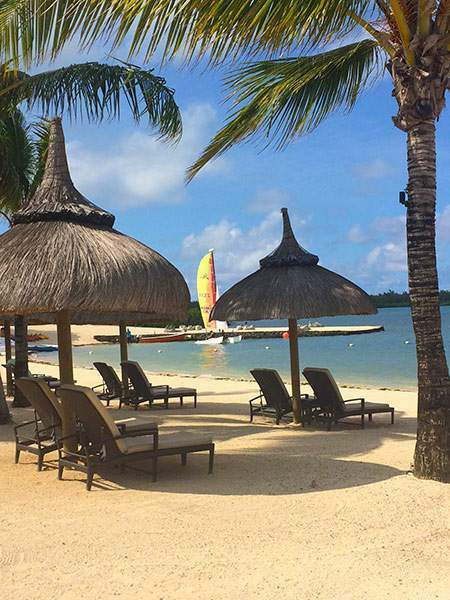 After lunch we moved back around the bay to the Four Seasons Mauritius. 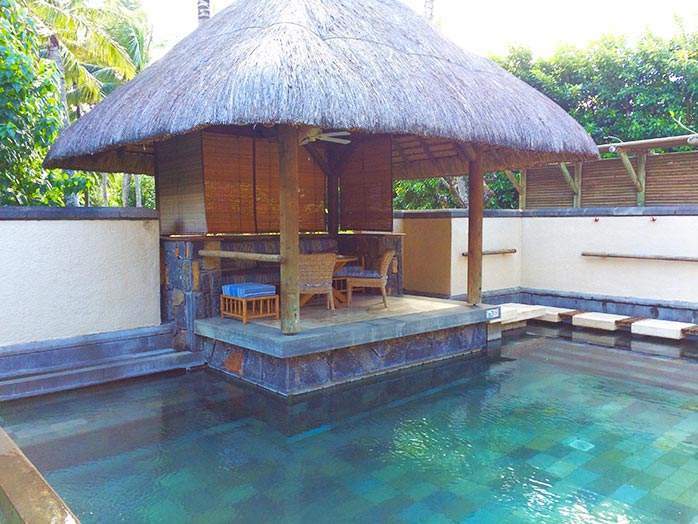 We were lucky enough to be given a beachfront villa with a private pool. These outstanding villas are the absolute epitome of luxury as one would expect from Four Seasons. The resort has a number of excellent restaurants and dinner was enjoyed under the stars with a gentle breeze keeping things really comfortable. Day 8 – On your bike! Marcella and I decided we needed to work off some of the amazing food (and in my case numerous cold Phoenix) so we hired some bikes and went off for a fun ride through the cane fields and down the east coast. Whilst the weather was cloudy and breezy it was great to get out of the resorts and enjoy the island. Later in the day we moved to the superb Constance Prince Maurice Resort, in my opinion the finest resort on an island famous for its world class hotels! Le Prince Maurice shares two superb golf courses, the Legend and the Links, with its sister hotel the Constance Belle Mare Plage. Le Prince Maurice is an extremely elegant resort, renowned for its exceptional service, luxurious décor, amazing cuisine and a wonderfully extensive wine list. After a cocktail at the floating bar we had an excellent meal at the Asian Restaurant, where the superb food is prepared by the chefs in full view of the diners. Day 9 – Epicureans & wine lovers, be ready! Another day, another great golf course! This time Marcella and I played the Links course. Opened in 2002, The Links is Constance Hotels second championship golf course, it’s a fair course that rewards good play but can be equally tricky, particularly on the back nine. There are reasonably generous fairways leading to tricky greens which puts an emphasis on solid iron play as well as making really think about your choice of approach shot. There’s considerably less water than on the Legend course but there are still 6 water hazards as well as volcanic rock features that must be avoided. Following the golf we relaxed on the beach at the resort before winding down even further with a relaxing massage at the superb spa. We had a wonderful evening with pre-dinner drinks at the floating bar before the ‘La Paulée’ dinner dedicated to sumptuous wine and food pairings! 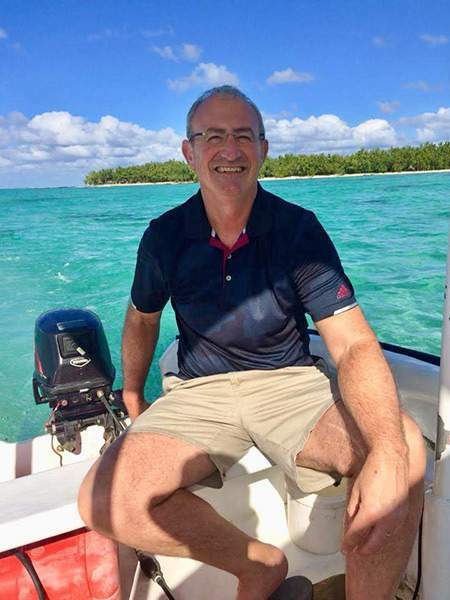 After this we moved to the new C Palmar Resort, I was really looking forward to seeing our great friends from Constance Resorts latest offering. 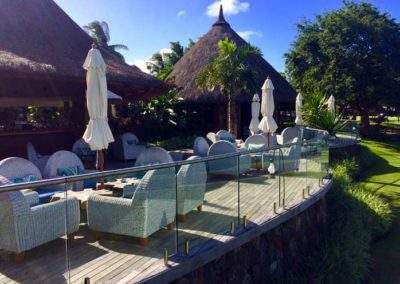 This is a smaller boutique style resort and on arrival we were given a typically warm Mauritian greeting. As we walked through the hotel we took in the stunning view of the beach and sea which dipped beyond the horizon. 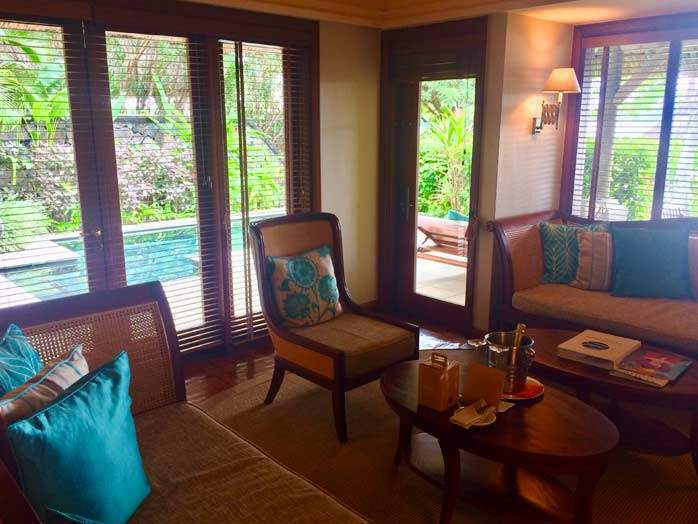 The bright natural light as well as the airy feel to the resort really complimented the colourful setting. We were fortunate to have a room that shared this wonderful vista and spent the afternoon enjoying the crystal clear sea and sparkling white sandy beach! After the obligatory pre-dinner cocktail we had dinner in the main restaurant. Whilst the buffet didn’t have an overwhelming selection there was plenty to keep us happy and we were well looked after by the attentive and friendly staff. 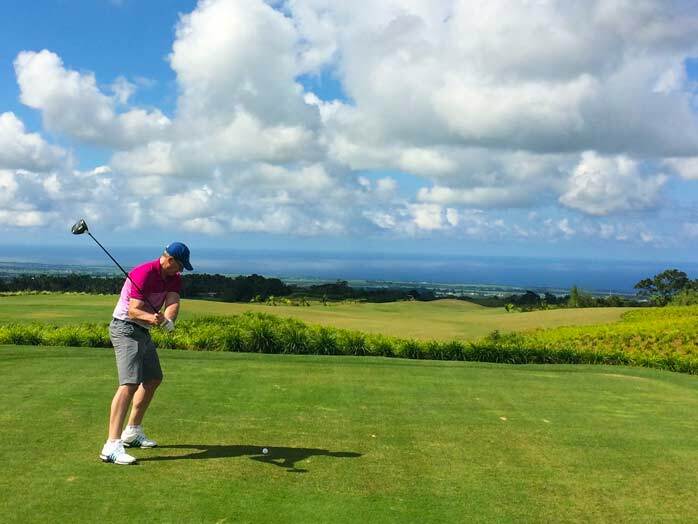 We woke to strong winds and a cloudy sky so made sure we had waterproofs packed before heading to the north of the island to try out the new Mont Choisy golf course. We played with our old friends Jo and Rory Kirk who originated from South Africa but have been in Mauritius for many years. 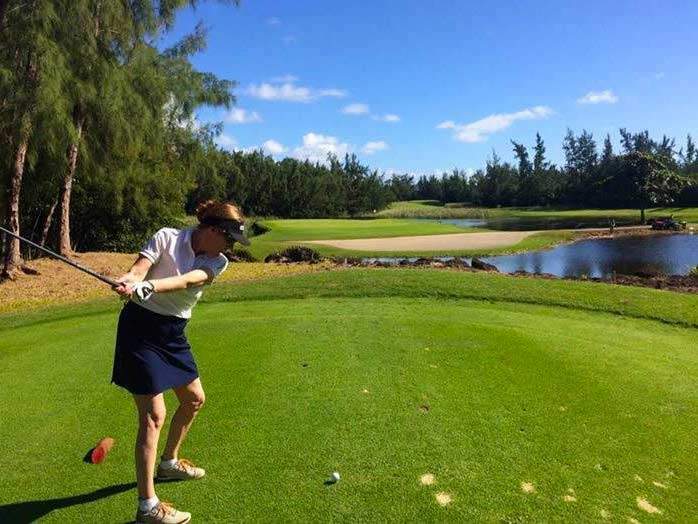 Jo did a wonderful job looking after our Mauritius Mixed Pairs tournament for many years and was as enthusiastic as ever to get out and show off their new golf club regardless of the weather. Fortunately the rain stayed away apart from one large shower and I really enjoyed playing a truly testing round in high winds, living in Ireland has made me accept it as part of the challenge! 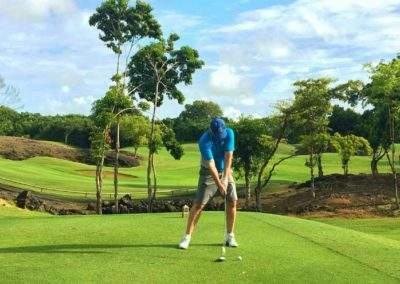 The course is another excellent Peter Matkovitch design, it’s built on a former sugar plantation with few mature trees and offers wonderful views of the mountains. The 15th hole is an absolute gem, it’s a short par-3 across a wetland to an island green, it’s located near an old chimney, a landmark that harks back to the past. We had the pleasure of lunch and a few drinks in the stylish modern clubhouse with the Kirks. As Rory had to fly off to South Africa that afternoon Jo joined us for dinner in the C Asian restaurant back at the resort, we had a superb meal reminiscing about the island and all of the changes it has undergone over the last 20 years – fortunately the majority of these are very positive both for tourism as well as the locals. We thoroughly enjoyed the C Palmar and would have happily stayed on for another week but it was time to move on again! 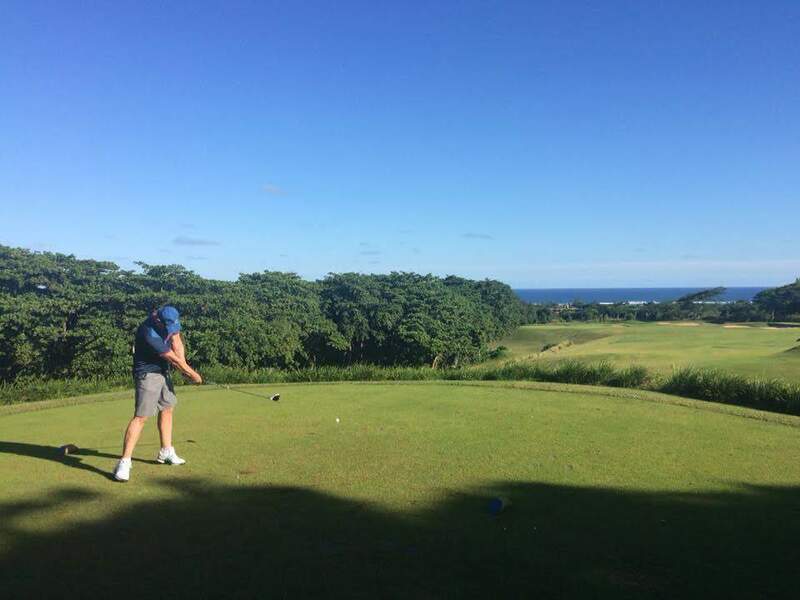 Luckily the trip wasn’t too arduous as it was just a few minutes up the road to what is generally rated the best golf resort on the island – Constance Belle Mare Plage. Having first visited the resort in 1995 I have really enjoyed seeing the resort develop from a ‘charming’ old beach resort with one golf course to the wonderful stylish current version with two excellent courses and a third in the pipeline! 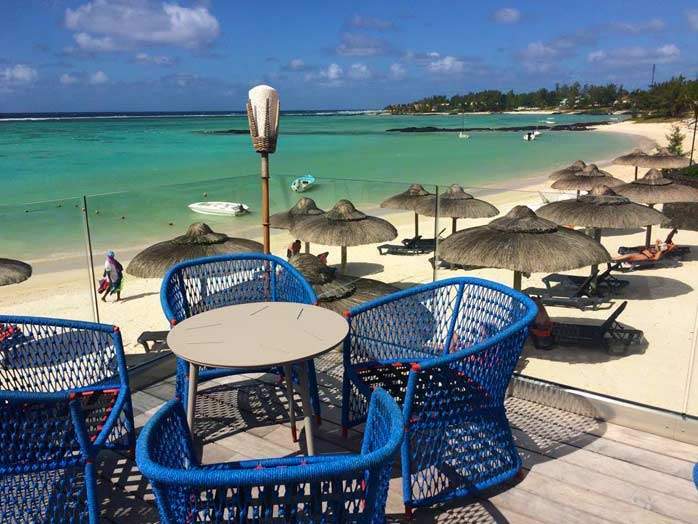 Belle Mare Plage, like the island itself, really feels like a second home to me, we have had thousands of happy clients enjoy the resort and many of these return year after year and like me feel totally at home. In the afternoon I caught up with my old friends Sarran and Dinesh who have been looking after the golfers at the Belle Mare Plages two courses for many years. It is always a highlight of my visits to Mauritius playing golf with these fun-loving, charming guys and it was a real pleasure playing the Links course with them. Golf with these laid-back guys whilst enjoying a couple of beers on the way round is my type of golf, lots of laughs and whilst competitive it’s always played within the right spirit. Many of our returning clients would know Sarran and Dinesh and I’m sure they would agree with me that the two of them, as well as the rest of the staff, really enhance the golfing experience with their charm and professionalism. It was a shame that Sebastian the director of golf was unable to join us due to a bad back but I’ll be sure to get out with him on my next visit. Our delightful dinner in the Blue Penny restaurant at Belle Mare Plage was preceded by a tour of the very impressive wine cellar and a sumptuous wine tasting experience. Day 14 – On your bike again! To combat all the wonderful food and drink on this trip we took on another bike ride, this time along the beautiful east coast of the island, the stretch along the Belle Mare public beach with the spectacular colours of the sea right next to us was truly memorable! A well-deserved swim and lunch were followed by a lazy afternoon enjoying the resort. We ended the day at La Spiaggia, one of my favourite restaurants, where the superb food was up to its usual high standards, before heading to the main bar to listen to some music and enjoy a nightcap (or two). 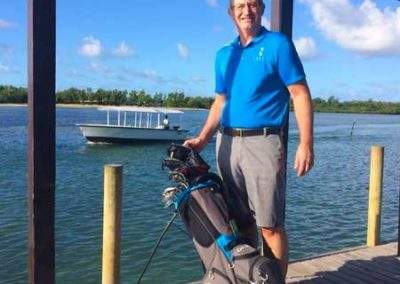 Day 15 – A quick 9 holes at the Legend Course and travelling like a star!! Our final day had unfortunately arrived However, we were departing on an evening flight so still had the whole day to savour. We spent the morning relaxing on the beach and after lunch, we went out for a final 9-holes on the Legend Course. The changes made to the course over the last two decades have been considerable, it now plays a little easier due to wider landing areas but the abundance of water, as well as dense forest and volcanic rock, means you can expect to lose a ball or two. Overall the course was in excellent condition with well-maintained tee boxes, bunkers and pure well-paced greens. In the evening we tried out the Yu Lounge at the airport. This is in a separate building to the main terminal and is ideal for stress-free travel. On arrival at the lounge your luggage disappears, and whilst you enjoy bubbly and excellent food your passports are taken away and returned with your boarding passes. When it’s time to fly out you are taken to the main terminal in a Porsche Cayenne! At the terminal, you are whisked through a private security route and onto the departure gate. This is one indulgence I recommend particularly for those who like to be pampered! Warm welcomes, superb golf and idyllic weather – what more could you want! May is the perfect time of year out here with great hotel rates and idyllic golf and beach weather! The courses were all in fantastic condition particularly considering winter officially started when we were out there. The Emirates flights were all on time throughout our journey and all of our luggage appeared at the right times and places so we are grateful to them for their usual high-quality service! I am so fortunate to have been to Mauritius many, many times and the island itself really feels like a second home to me. It was a real privilege and pleasure to spent two weeks with Marcella enjoying the best that the island has to offer. We could not have been looked after better and are very thankful for the kindness and hospitality we enjoyed throughout or visit. 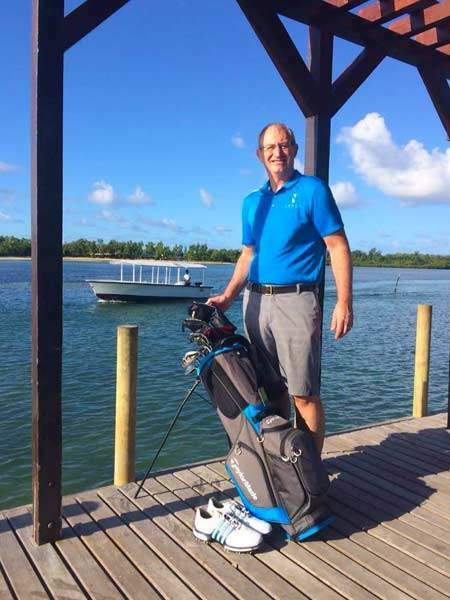 We have had thousands of happy clients enjoy the superb golf courses, idyllic weather and world-class resorts that Mauritius has to offer, many of these return year after year and like me I’m sure they are always planning the next return to paradise!